Fast forward two decades, one of my girlfriends is Moroccan and from our very first conversation I told her I wanted to go to Morocco with her the next time she went. After a year of seeing “deals” comes and go and not finding any flights under $750, I figured I’d just put it off for a later time. That year, we ended up taking advantage of the annual Emirates companion deal to Milan from JFK, it was $750 for the 2 of us. I don’t remember who suggested I look into flights from Milan to Marrakech but I did and was shocked at cheap they were. We booked flights on EasyJet for about $100RT, and the only reason it was that much was because we paid extra for luggage, seats, and priority access. It’s a European low-cost carrier, so trust you are going to pay for everything. 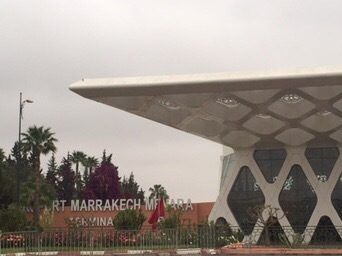 We arrived in Marrakech mid-morning, dropped off our bags at our hotel the Le Meridien Marrakech (paid for with SPG points under 3k points per night), and met up with our tour guide. 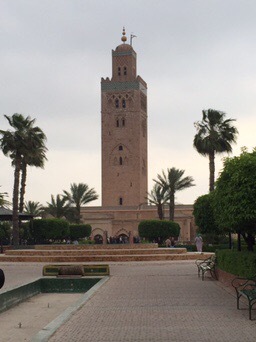 We asked him to show us the popular sites include the Koutoubia Mosque (outside only as non-Muslims cannot go inside), Bahia Palace, Saadian Tombs, Bab Agnaou, along with a visit to an argan oil coop. 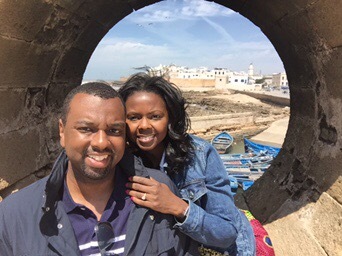 The next day led us to Essaouira, a beautiful coastal town about a 2.5 hour drive from Marrakech. 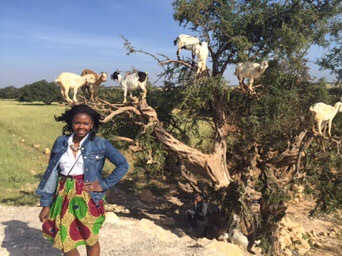 Initially, I debated between going there or Agadir but when I saw photos of the goats in trees, yes you read that correctly, I knew Essaouira would be my choice. One of my favorite photos is below. 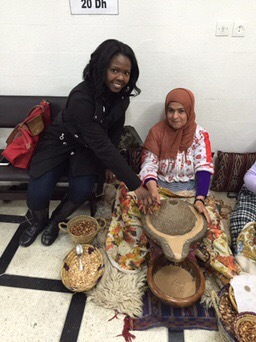 Apparently goats like to eat argan nuts, the nuts they use to make the widely known Moroccan oil. Who knew? We hired a driver to take us there and back which was much easier than trying to figure out how to take the bus there. Once in Essaouira, we spent about 4 hours exploring the town and the unique shops and art galleries. For lunch we stumbled across a restaurant with a rooftop that had delicious, fresh caught seafood. On the way back, we asked our driver to take us to Marjorelle Gardens, a popular attraction that was purchased by late fashion designer Yves Saint Laurent in 1980. The vibrant colors and variety of plants and flowers made for a serene and very picturesque afternoon. Make sure you have a few hours to spend to truly enjoy it. It’s a nice reprieve from the bustling city of Marrakech. At the crack of dawn the next day, we left the city for an adventure in the desert. We booked a 2 day/ 1 night Zagora Dunes tour. A few websites recommended doing the 3 day option if you have more time. We definitely would have opted for the longer option if we had to do it over again. Half of the day was spent driving south and we stopped a few times along the way. So glad we went in April and it wasn’t too hot because driving all the way with no A/C would have been the absolute worst. If you have motion sickness or scare easily, this may not be the tour/drive for you. Our drivers took those sharp turns around the mountainous as fast as he could and needless to say we did a lot of praying that we didn’t go over. Since this post was getting too long, I decided to split into two. Read more about our trip to the desert, our hammam experience, cooking class, and our meal at Gastro MK in the next post. I’ve also provided contact information for our drivers, tour guides, and selected sites we visited. Enjoy!